A new study finds that severe childhood trauma and stresses early in parents’ lives are linked to higher rates of behavioral health problems in their own children. The types of childhood hardships included divorce or separation of parents, death of or estrangement from a parent, emotional, physical or sexual abuse, witnessing violence in the home, exposure to substance abuse in the household or parental mental illness. 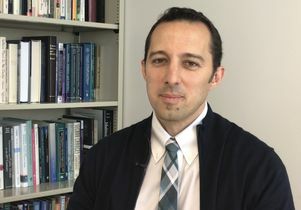 “Previous research has looked at childhood trauma as a risk factor for later physical and mental health problems in adulthood, but this is the first research to show that the long-term behavioral health harms of childhood adversity extend across generations from parent to child,” said the study’s lead author, Dr. Adam Schickedanz. He is a pediatrician and health services researcher and assistant professor in the department of pediatrics at the David Geffen School of Medicine at UCLA. A mother’s childhood experiences had a stronger adverse effect on a child’s behavioral health than the father’s experiences, the study found. Parents who lived through adverse childhood experiences were more likely to report higher levels of aggravation as parents and to experience mental health problems, the researchers found. However, these mental health and attitude factors only explained about a quarter of the association to their child’s elevated behavioral health risks. The remainder of how the parent’s adverse childhood experiences are transmitted to their child’s behavior deserves further study. The findings add to the evidence supporting standardized assessment of parents for adverse childhood experiences during their child’s pediatric health visits. “If we can identify these children who are at a higher risk, we can connect them to services that might reduce their risk or prevent behavioral health problems,” Schickedanz said. The researchers used information from a national survey containing information from four generations of American families, including information from parents about whether they were abused, neglected or exposed to other family stressors or maltreatment while growing up, and information on their children’s behavior problems and medical diagnoses of attention deficit disorder. With this data, they were able to find strong associations between the parents’ adversity histories and their children’s behavioral health problems, while controlling for factors such as family poverty and education level. The next step for researchers is to look at how resilience factors, such as the support of mentors or teachers, could offset the harms of childhood traumas, Schickedanz said. The research study was funded by the UCLA National Research Service Award Primary Care and Health Services Fellowship. The national survey data was collected by the Institute for Social Research at the University of Michigan with funding from grants from the National Science Foundation and the National Institutes of Health. The study co-authors are Dr. Neal Halfon and Dr. Paul Chung from UCLA; and Dr. Narayan Sastry from the University of Michigan.